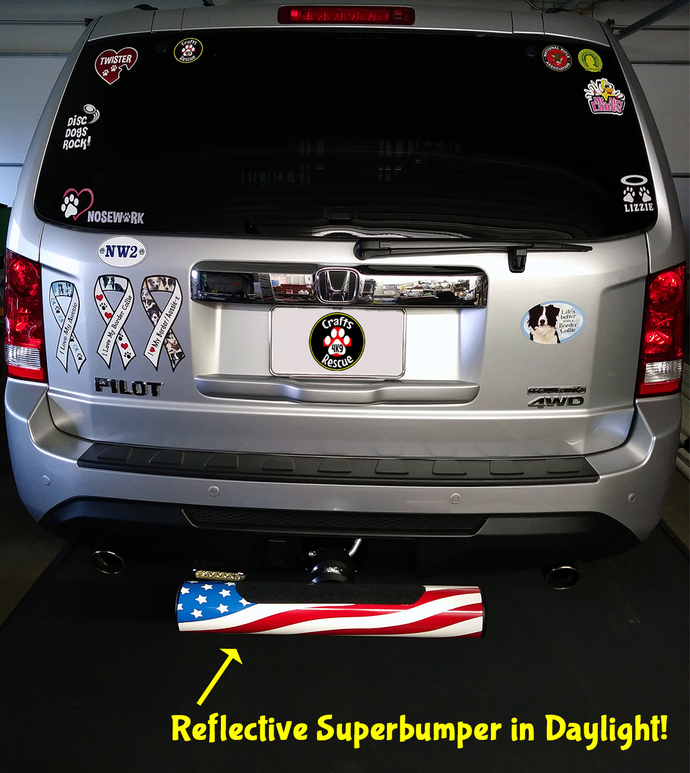 Decals for Sparebumper and Bumpershields!! 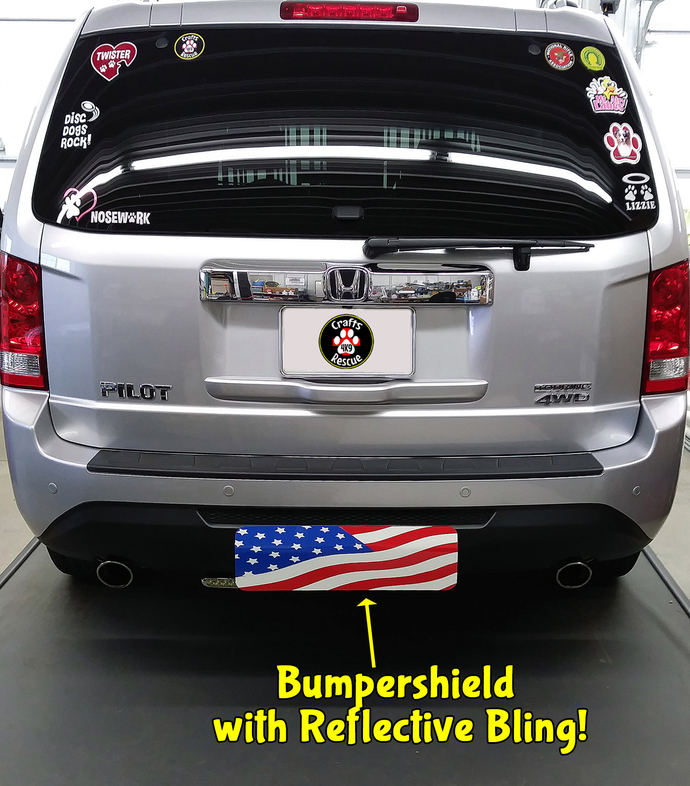 Looking to improve the look of your awesome Sparebumper or Bumpershield?? We can make decal bling to make these energy absorbing hitch accessories even better!! 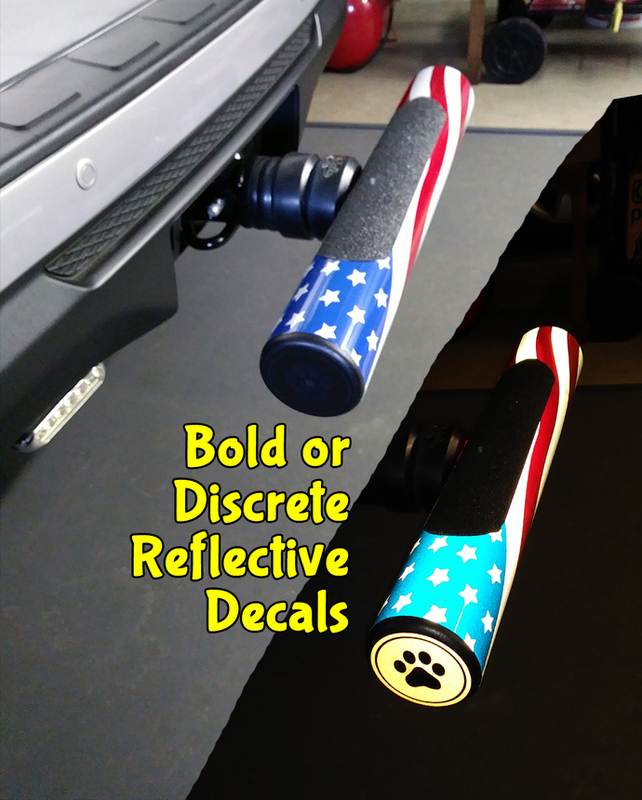 Something simple, just to add color and your design, or more elaborate decals like this American flag decal done in reflective vinyl. 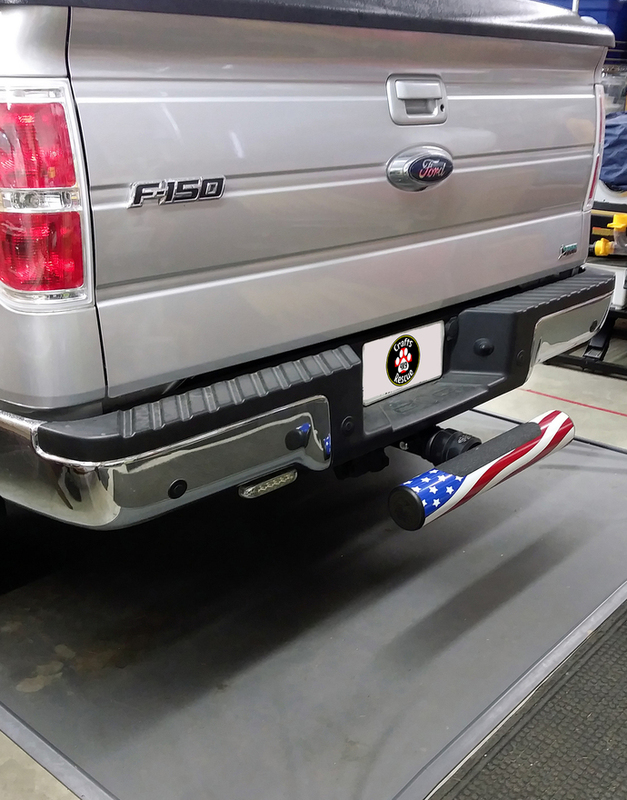 We can also make black reflective decals that are only clearly visible when reflecting light (like the end caps on the F-150 Sparebumper photo). And no, we won't charge you $99.99, contact us with your ideas and we'll come up with a much more reasonable price. You dream it, we'll cut it!! Contact us with your ideas and we'll make them a reality. Our decals are made of permanent adhesive backed sign vinyl that is flexible, durable, resistant to sunlight, and has a rated outdoor durability of 5 years. Our designs are also made from engineering grade reflective vinyl if desired. Your decals will be provided with complete instructions and are ready to easily apply using the prepared transparent transfer tape. These decals contain permanent adhesive and are removable, but they are not reusable. They can be applied to any smooth surface like car windows, mirrors, laptops, and more! This type of vinyl is not intended for use on interior walls because of the more permanent adhesive. 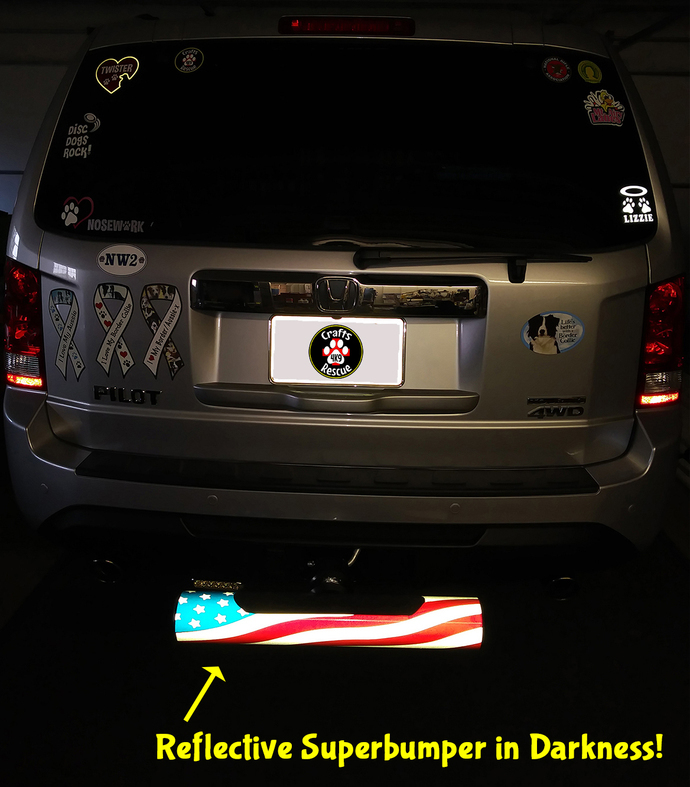 NOTE: This listing is for exterior grade vinyl decals only (Bumpershield and Sparebumper NOT included). Seller is not responsible for decals damaged during application, surface damage, and customer's use of the decal.